However, the text most likely was prepared in advance, so it is difficult to call it freestyle. 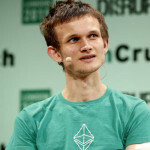 But this does not negate the fact that Buterin managed to blow up the hall with his flow and panchlines. 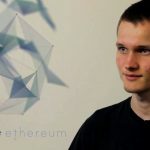 Ethereum community supported Buterin with his cries, endorsing his role as an MC rapper. The text of the rap song tells a story about the development of the Ethereum network, the dense work of the developers and the community, as well as the growth of the project's ecosystem. However, it is almost impossible to understand almost half of Vitalik’s text: not only did he read in a very quiet voice, so the quality of sound recording leaves much to be desired. It is possible that the head of Tron, Justin Sun, should now be more careful with the statement addressed to Ethereum on his Twitter account that Vitalik Buterin can bring down a powerful diss-track on his head at any moment, destroying Tron's reputation. © 2018 bit.news | queries 210, for 0.472 sec.